Check out these fun upcoming October fall events!! First Thursdays – Looking for something fun to do after work on the first Thursday of every month? First Thursdays is a free social event featuring live music, a 50/50 raffle and food & adult beverages for purchase. As an added bonus, there will also be a select gallery or exhibition open during each event at no charge. The Mariners’ Museum will stay open later for the first Thursdays, January through May and September through December. Fall on the Farm at Mount Pleasant Farms – It’s Fall on the Farm at Mount Pleasant featuring 5 different kids rides, Hayrides through the orchard ($4), and food and games. Mount Pleasant Farms is a family-owned peach orchard in Chesapeake, Virginia. Corn Maze at Bergey’s Breadbasket – Bergey’s Annual Corn Maze is open Thursdays 4 PM – 7 PM and Fridays and Saturdays 10 AM – 7 PM. The 5-acre maze is a fun and educational activity. Price includes maze, wagon ride, sack racing, corn hole, straw mountain, petting zoo, pumpkin patch (pumpkins sold separately), and one free corn gun shot. Family-run bakery filled with homemade goodies, fresh produce and flowers right on site! Yorktown Wine Festival – Saturday, October 5th from 12 to 6 pm sample wines from premiere wineries throughout the Commonwealth. Art and food vendors, plus entertainment, are also scheduled. Rain or shine. Riverwalk Landing. Suffolk Peanut Festival – Oct. 10-13th marks the 36th anniversary of Suffolk’s premier festival. 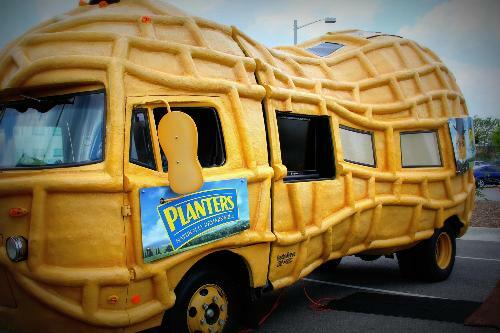 This family-friendly event honors the city’s agricultural heritage and devotion to peanuts. This weekend offers concerts, amusement rides, contests and competitions, a demolition derby, a truck and tractor pull, motorcycle rally, fireworks and much more. Free & open to the public. Parking $10 per vehicle per day. JLHR Craft Beer Festival – Join the fundraising efforts on October 12th from 1-5pm at Mill Point Park in Hampton. All proceeds go directly to the Junior League of Hampton Roads helping local women and children. Activities include live entertainment, food trucks, vendors, raffle tickets…and of course, beer!! Tickets are on sale now and include a souvenir pint glass! Yorktown Market Days and Fall Festival – Saturday, October 12th from 8 am to 3 pm. In addition to the usual array of fresh produce, meat and seafood, baked goods, coffee, specialty cut flowers, quality art and entertainment, there will be hayrides, a pumpkin patch and Children’s Hay Maze, Face Painting, and Children’s Activities. Riverwalk Landing. Free. Pirate Run 5K & 10K – Join The Mariners’ Museum on Oct. 19th for the 2013 Pirate Run on the Noland Trail. All proceeds benefit The Mariners’ Museum Park, the nation’s largest privately owned and maintained park that is open and free to the public. Live music, food, Pirate costume contest, and refreshing beverages post run! Yorktown Day – Saturday, October 19th from 9 am to 5 pm help celebrate the 232nd anniversary of American’s Revolutionary War victory at the Yorktown Battlefield. Activities include patriotic ceremonies, a parade, fifes and drums performances, and tactical demonstrations by “The Old Guard.” Free. Hampton Roads Real-e-statement is written by Alyssa Godwin, a Realtor with Liz Moore and Associates. For questions about Hampton Roads contact Alyssa at 757-329-6161 or alyssagodwin@lizmoore.com. You can also find Alyssa on Facebook or on the web at www.lizmoore.com/alyssagodwin.